A spell that makes a toilet apear when you deperately need to go but you are in an unconvenite place. 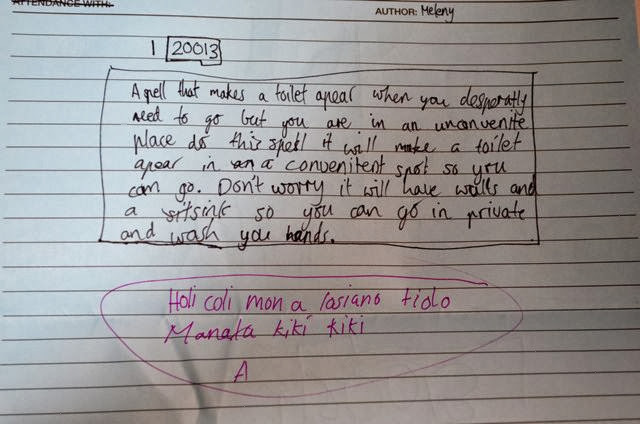 do this spell it will make a toilet apear in a convenitent spot so you can go. don't worry it will have walls and a sink so you can go in private and wash you hands.